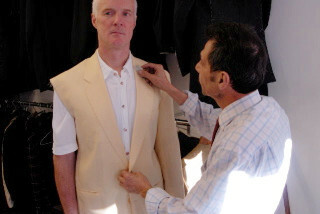 we take detailed measurements of the client to complete a pattern design to fit the measurements of each customer. 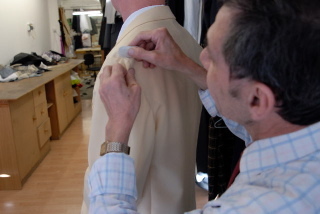 using pins and tailors chalk. 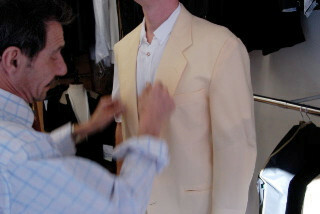 Paul has always ensured his clients choice of  comfortable fitting. 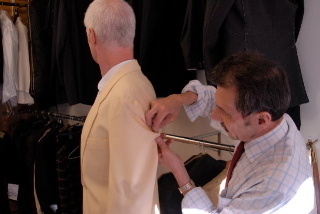 your suit will fit perfectly and its to your exact specifications.